This rustic, homey roasted veggie dish is the perfect comfort food for all you healthy eaters. You’d be surprised how much flavor comes from seasoning vegetables with just a little oil, salt and pepper, and there’s nothing easier than roasting vegetables—the oven does all the work! If you’re not a huge fan of one of these veggies, you can switch it out for the vegetable of your choice. Try pearl onions or baby squash! 2. Peel carrots and quarter lengthwise into thin strips. Cut them in half so they are uniform in size to ensure same cooking rate. 3. Quarter zucchini lengthwise into thin strips and cut in half to make uniform pieces. 5. 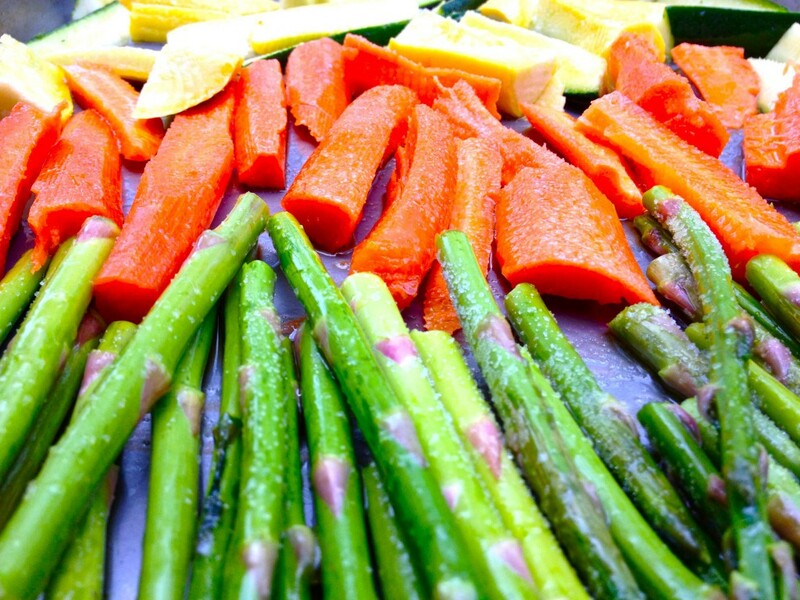 Spread out vegetables on a baking sheet so they are not overlapping. 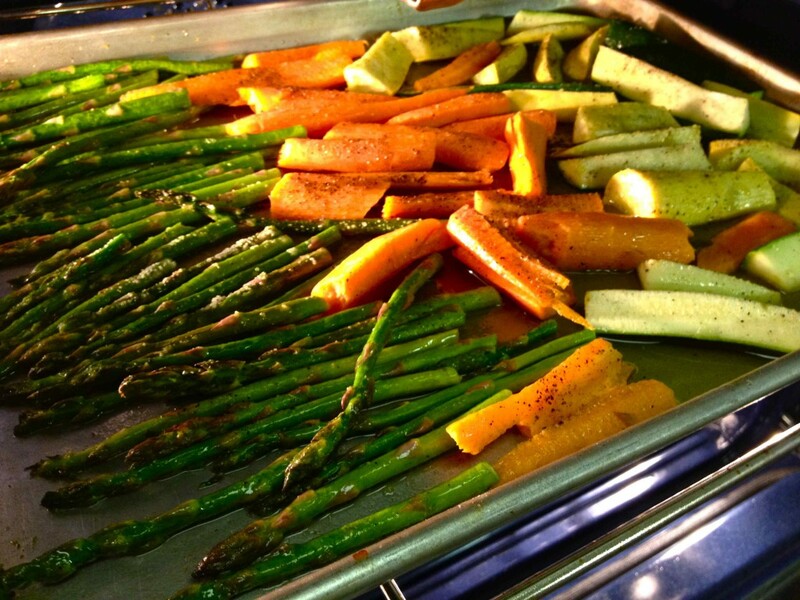 If you have several baking sheets, assign one to each vegetable. 6. Drizzle extra virgin olive oil over vegetables until they are coated evenly, then sprinkle generously with salt and pepper. 7. Bake for about 40 minutes, checking periodically to make sure veggies aren’t burning. To ensure best results, shake the pan every so often to turn over vegetables for an even roast.